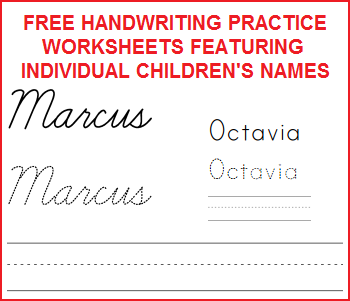 Here are dozens upon dozens of cursive script handwriting practice worksheets. There is enough copywork here to help your young scholars master the art of cursive penmanship (as well as improve their spelling). Each link opens the corresponding PDF file. We have done our best to include a wide variety of thinkers with these quotes. Enjoy! Oliver Wendell Holmes: The young man knows the rules, but the old man knows the exceptions. Thomas Jefferson: The glow of one warm thought is to me worth more than money. Samuel Taylor Coleridge: Common sense in an uncommon degree is what the world calls wisdom. Henry David Thoreau: It's not what you look at that matters, it's what you see. Han Suyin: There is nothing stronger in the world than gentleness. Hosea Ballou: Tears of joy are like the summer rain drops pierced by sunbeams. Harry Emerson Fosdick: It is by acts and not by ideas that people live. Swami Sivananda: Put your heart, mind, and soul into even your smallest acts. This is the secret of success. Charles Dickens: There is a wisdom of the head, and a wisdom of the heart. Joseph Wood Krutch: It is not ignorance but knowledge which is the mother of wonder. Henry Ford: You can't build a reputation on what you are going to do. Thomas Merton: Every moment and every event of every man's life on earth plants something in his soul. John Foster Dulles: The measure of success is not whether you have a tough problem to deal with, but whether it is the same problem you had last year. Benjamin Disraeli: I repeat... that all power is a trust; that we are accountable for its exercise; that from the people and for the people all springs, and all must exist. Dale Carnegie: Develop success from failures. Discouragement and failure are two of the surest stepping stones to success. Christopher Morley: There is only one success - to be able to spend your life in your own way. Thomas Jefferson: Do you want to know who you are? Don't ask. Act! Action will delineate and define you. Confucius: The will to win, the desire to succeed, the urge to reach your full potential... these are the keys that will unlock the door to personal excellence. Oscar Wilde: Success is a science; if you have the conditions, you get the result. Golda Meir: Trust yourself. Create the kind of self that you will be happy to live with all your life. Make the most of yourself by fanning the tiny, inner sparks of possibility into flames of achievement. Billy Wilder: Trust your own instinct. Your mistakes might as well be your own, instead of someone else's. Michael Jordan: I've failed over and over and over again in my life and that is why I succeed. Confucius: When it is obvious that the goals cannot be reached, don't adjust the goals, adjust the action steps. Abraham Lincoln: Always bear in mind that your own resolution to succeed is more important than any other. Henry Ford: Obstacles are those frightful things you see when you take your eyes off your goal. Akhenaton: To be satisfied with a little, is the greatest wisdom; and he that increaseth his riches, increaseth his cares; but a contented mind is a hidden treasure, and trouble findeth it not. Diogenes: Wise kings generally have wise counselors; and he must be a wise man himself who is capable of distinguishing one. Alice Walker: Nobody is as powerful as we make them out to be. Deborah Tannen: Each underestimates her own power and overestimates the other's. Robert Louis Stevenson: Judge each day not by the harvest you reap but by the seeds you plant. Frederick Douglass: Power concedes nothing without a demand. It never did and it never will. Friedrich Nietzsche: Does wisdom perhaps appear on the earth as a raven which is inspired by the smell of carrion? Publilius Syrus: From the errors of others, a wise man corrects his own. Ben Hogan: As you walk down the fairway of life you must smell the roses, for you only get to play one round. Fulton J. Sheen: Show me your hands. Do they have scars from giving? Show me your feet. Are they wounded in service? Show me your heart. Have you left a place for divine love? Eric Hoffer: The only way to predict the future is to have power to shape the future. Oskar Schindler: I was now resolved to do everything in my power to defeat the system. George Bernard Shaw: We are made wise not by the recollection of our past, but by the responsibility for our future. Irving Berlin: The toughest thing about success is that you've got to keep on being a success. Epicurus: It is folly for a man to pray to the gods for that which he has the power to obtain by himself. Henry Ward Beecher: Tears are often the telescope by which men see far into heaven. Epictetus: Make the best use of what is in your power, and take the rest as it happens. Edith Wharton: There are two ways of spreading light: to be the candle or the mirror that reflects it. Archimedes: Give me a lever long enough and a fulcrum on which to place it, and I shall move the world. Henry David Thoreau: All this worldly wisdom was once the unamiable heresy of some wise man. Robert H. Schuller: What great thing would you attempt if you knew you could not fail? Democritus: Happiness resides not in possessions, and not in gold, happiness dwells in the soul. John Steinbeck: It is a common experience that a problem difficult at night is resolved in the morning after the committee of sleep has worked on it. Johann Wolfgang von Goethe: Ignorant men raise questions that wise men answered a thousand years ago. Lord Salisbury: If you believe the doctors, nothing is wholesome; if you believe the theologians, nothing is innocent; if you believe the military, nothing is safe. Lucille Ball: I'd rather regret the things I've done than regret the things I haven't done. George S. Patton: You need to overcome the tug of people against you as you reach for high goals.